Watch the SUPER EASY STRAWBERRY CHEESECAKE BITES Video on YouTube! 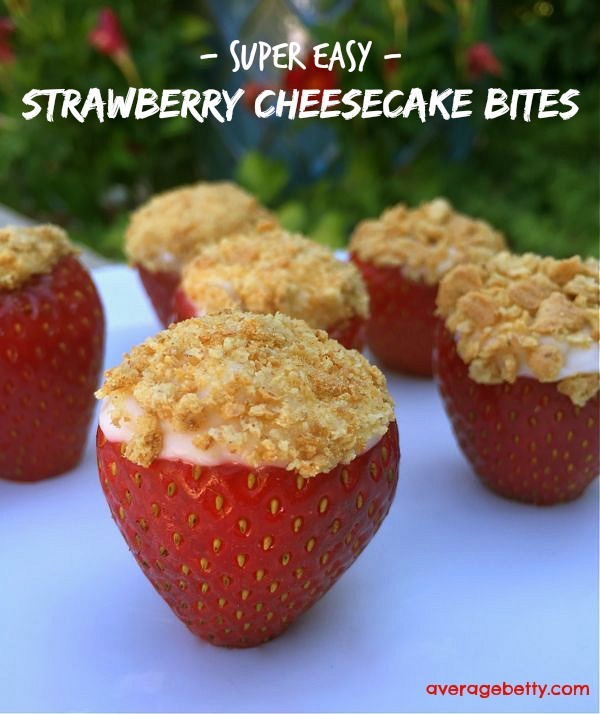 Super Easy Strawberry Cheesecake Bites are so super easy. How super easy are they? They are so easy, the only thing easier would be opening a pack of ding dongs. Notes: Makes 12 bites. For further instruction, entertainment and tips WATCH THE VIDEO! 1) Prepare strawberries according to video instruction. 2) In a bowl combine cream cheese, lemon juice and zest, vanilla and salt. Sift in powdered sugar and combine until creamy. 3) Fill strawberries with cream cheese mixture and dip tops in graham cracker crumbs. 4) Refrigerate until ready to share and enjoy. 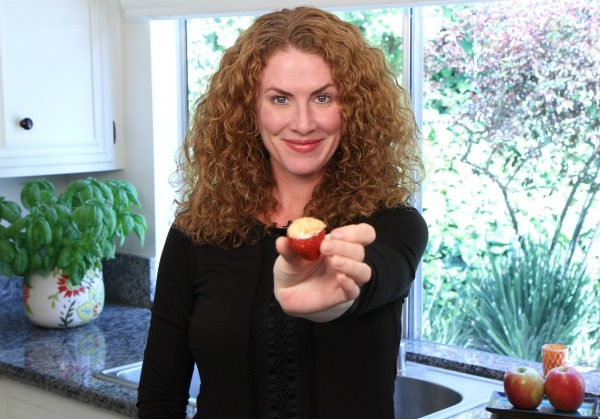 Learn how to make these easy, delicious, no-bake, crowd pleasing bites of summertime delight! Ripe strawberries filled with lemon-vanilla cream cheese and topped with graham cracker crumbs are sure to please just about everyone. For further instruction, entertainment and tips watch the Strawberry Cheesecake Bites Video on YouTube! These are so adorable! I think they’d be great to make use of those monster strawberries I see around sometimes.